Home > VoIP Support FAQ > VoIP > How can I use Time Diaries? How can I use Time Diaries? To start creating some Time Specific Routing, you'll need to create a call route beforehand! 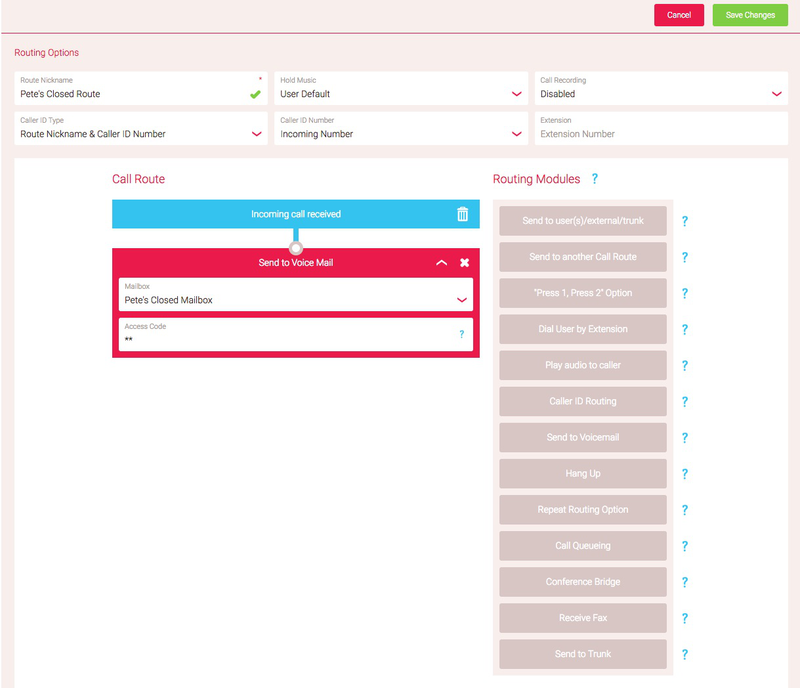 Simply navigate to My Dashboard > My VoIP > Routing > Call Routes and create a route! 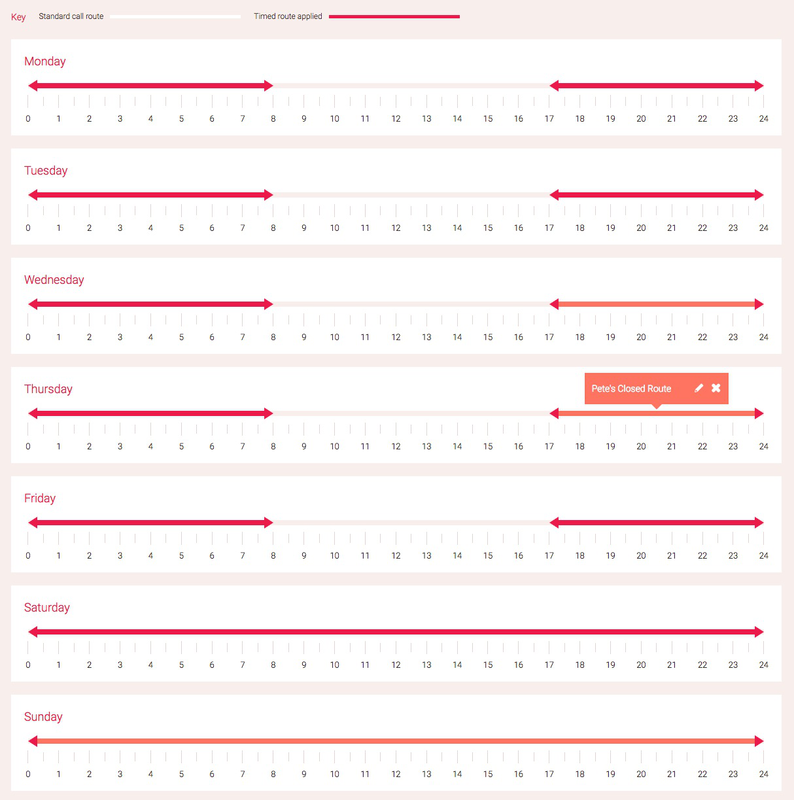 The next step would be to go to our Time Diaries section, and then "Add a Time Diary". 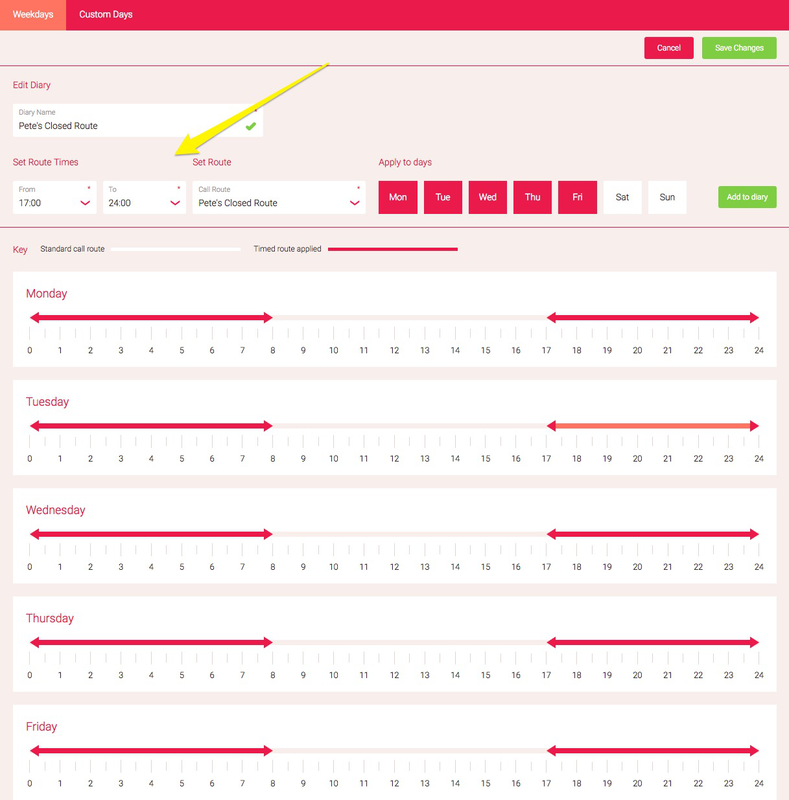 What you'll need to do from here, is select the times the route will apply. Any areas not highlighted in this Time Diary will follow the Primary call route assigned to the number. In this example, the business is open between 8am and 5pm. We’ll assign the call route to between 00:00 and 08:00, and then between 17:00 and 24:00, on Monday through to Friday. This is due to the fact the routing is set by the day and doesn’t carry over - for example you can’t set to to go from 17:00 through to 08:00, but can set to 17:00 to 24:00, and 00:00 to 08:00. 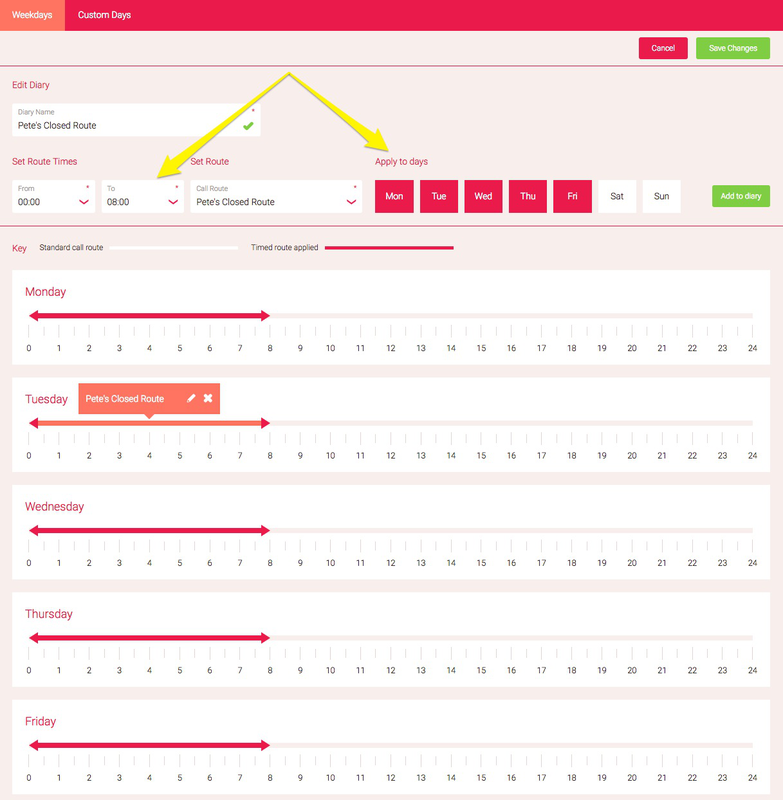 Once you've done the previous steps, you would then need to go to the Numbers section, and edit the number you wanted this time diary to apply to - and then from the Time Diary dropdown select the Time Diary you just created, and you'll be good to go!